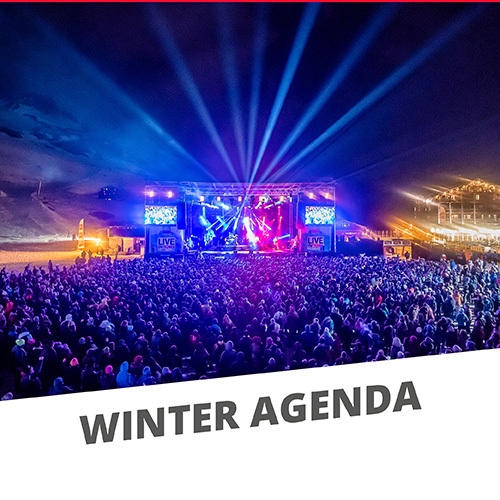 Ski and party all week long! 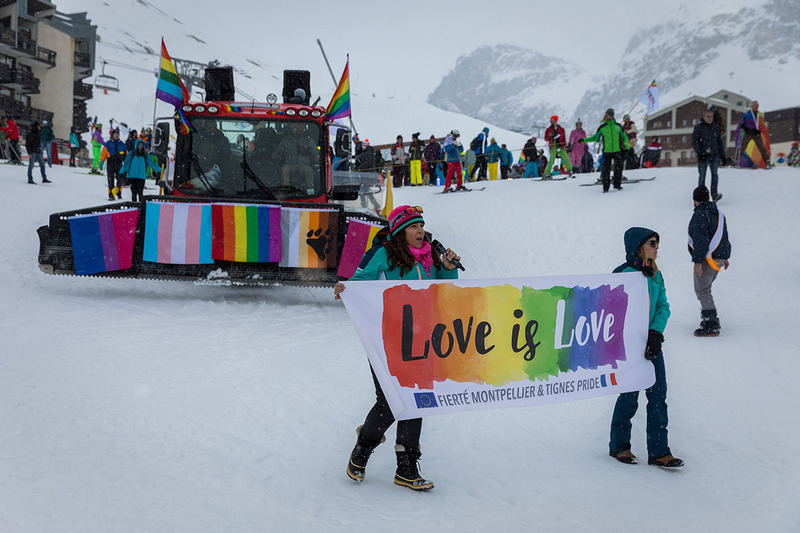 Every winter since 2008, Tignes have waved the rainbow flag, emblem of the LGBT community (lesbian - gay - bi - trans). 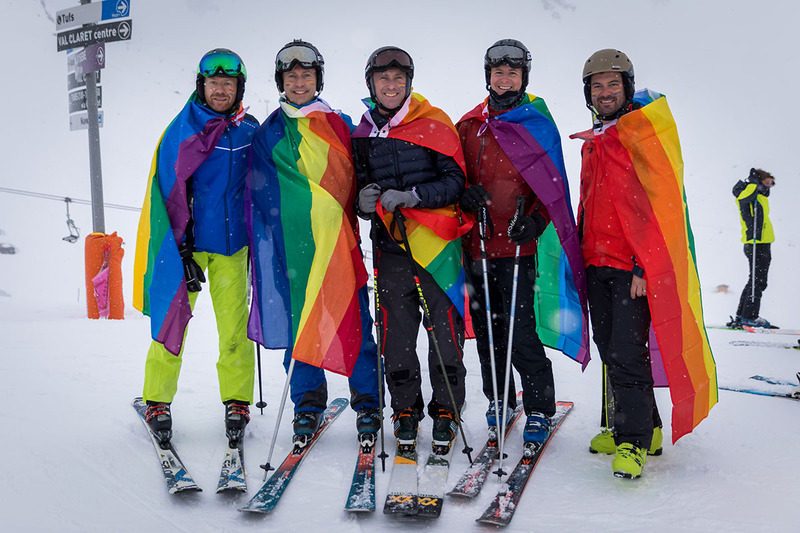 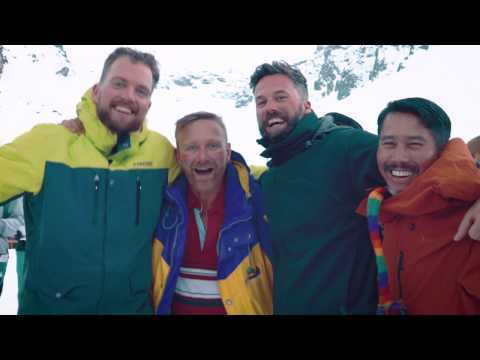 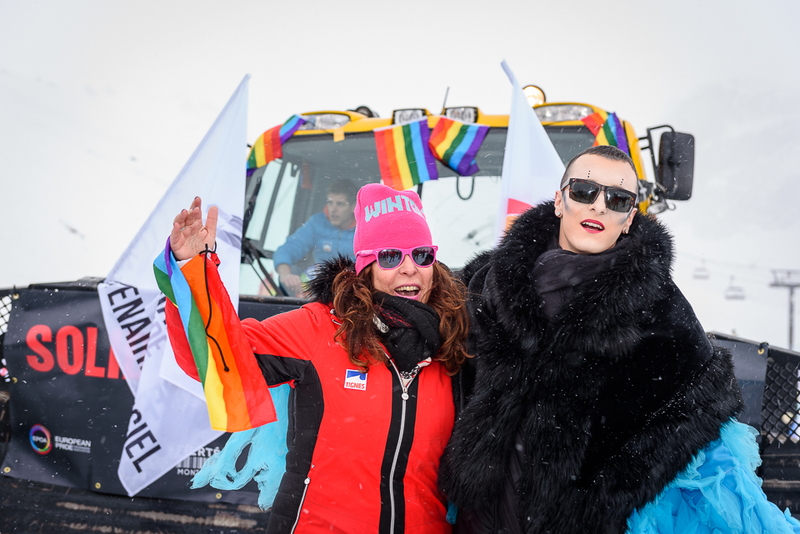 The resort is hosting once again the biggest gay ski week in Europe from March 16th to 23th 2019: the European Snow Pride, i.e. 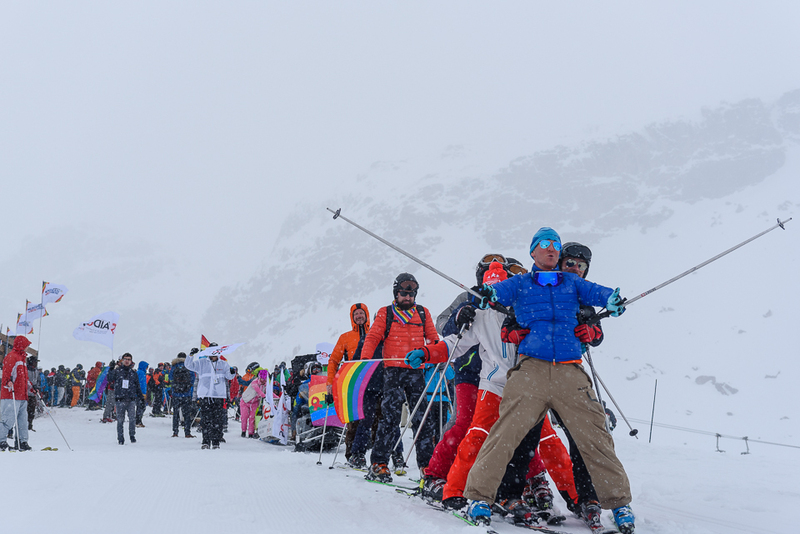 one week full of skiing and partying dedicated to the European LGBT community! 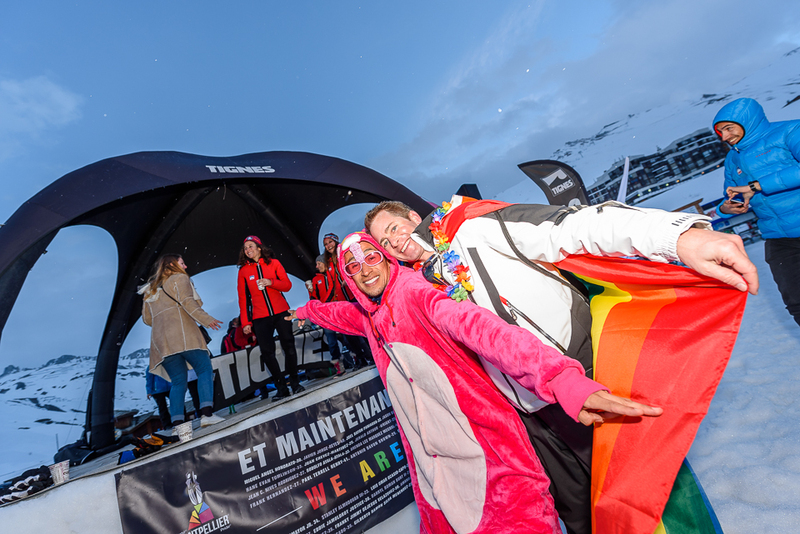 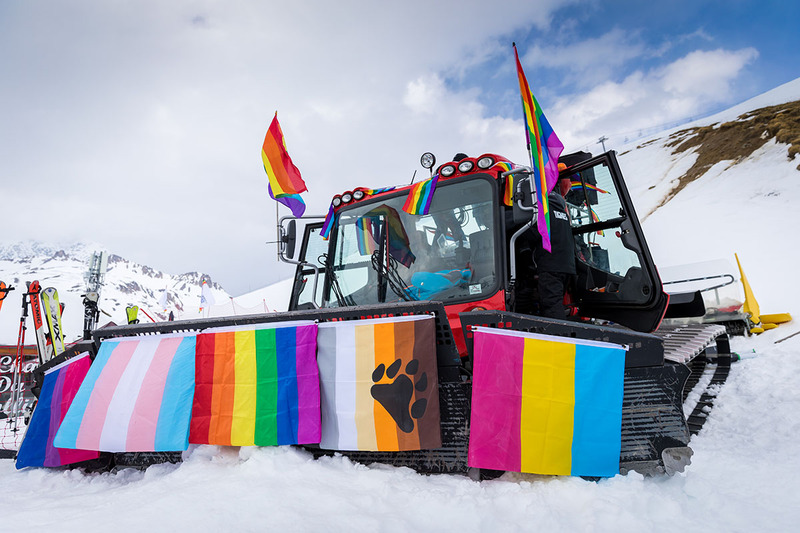 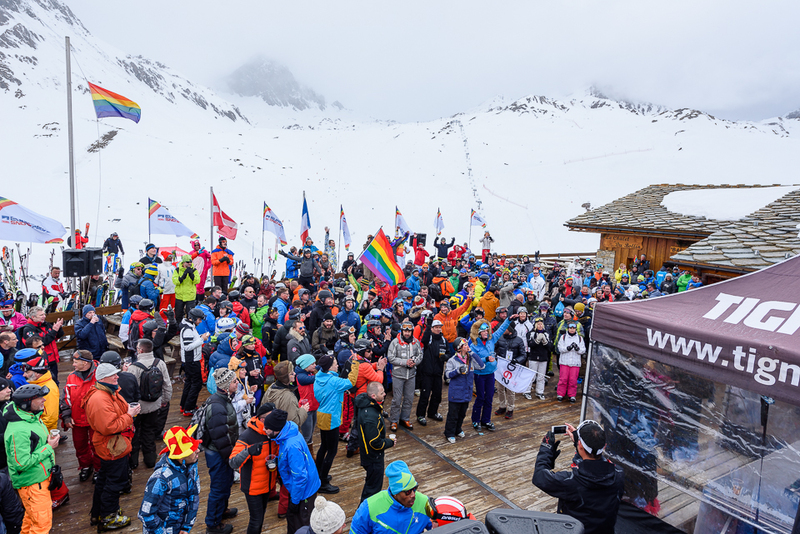 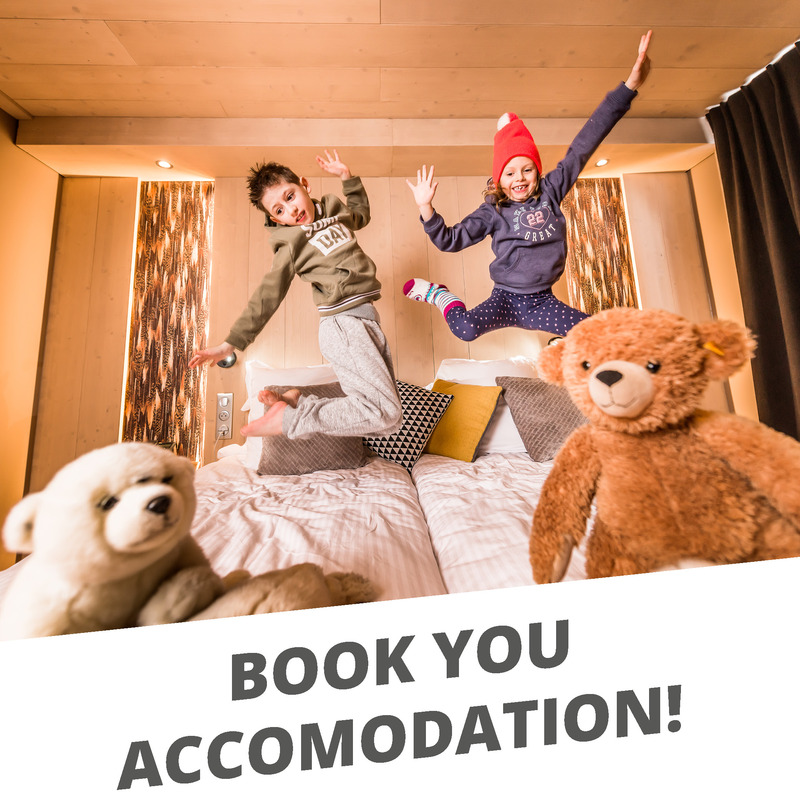 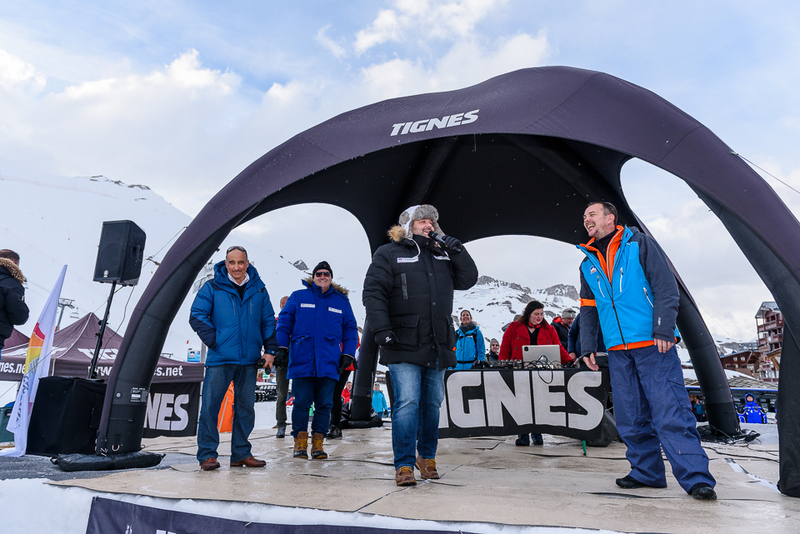 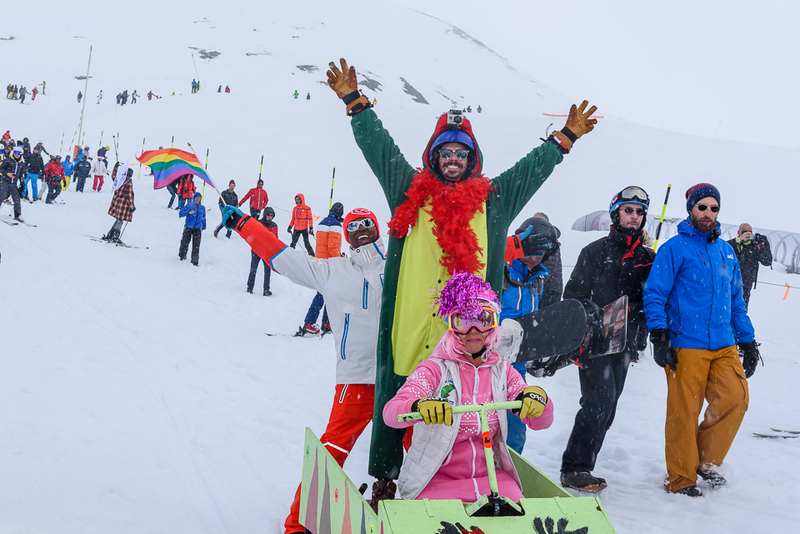 Hosting a PRIDE since 2015 is Tignes' way of assetting its tolerance and supporting the LGBT community. 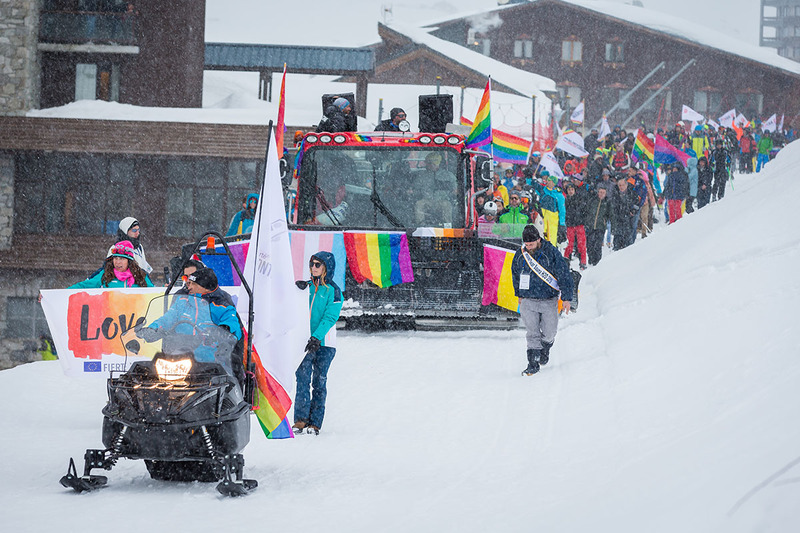 The resort also standed in defense of the gay marriage in 2013. 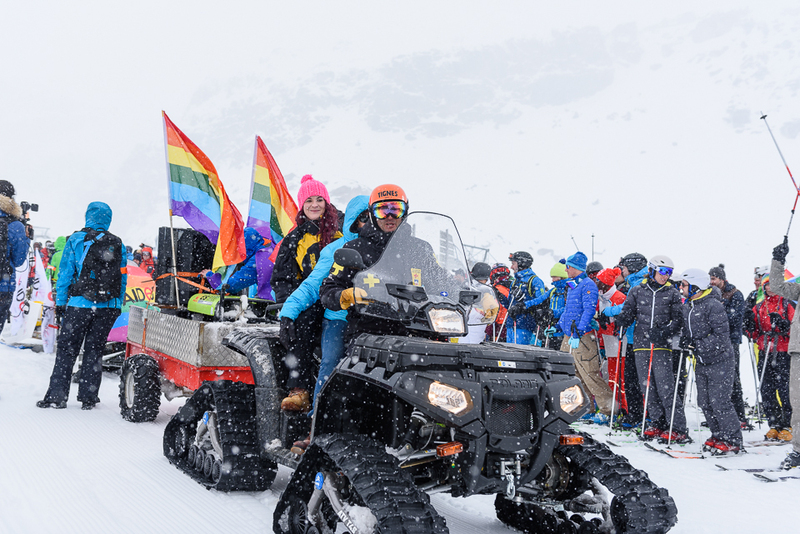 More than 300 people took part in the PRIDE in 2018. 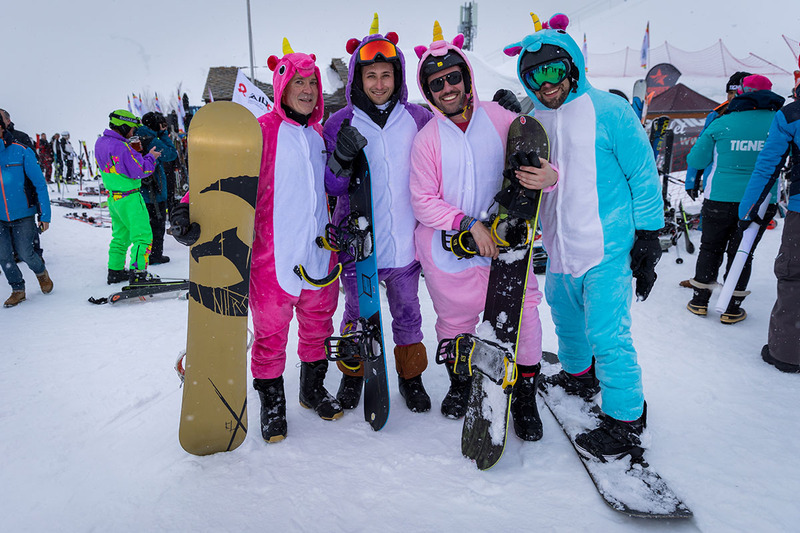 Come and celebrate the 5th edition with us on March 17th 2019! 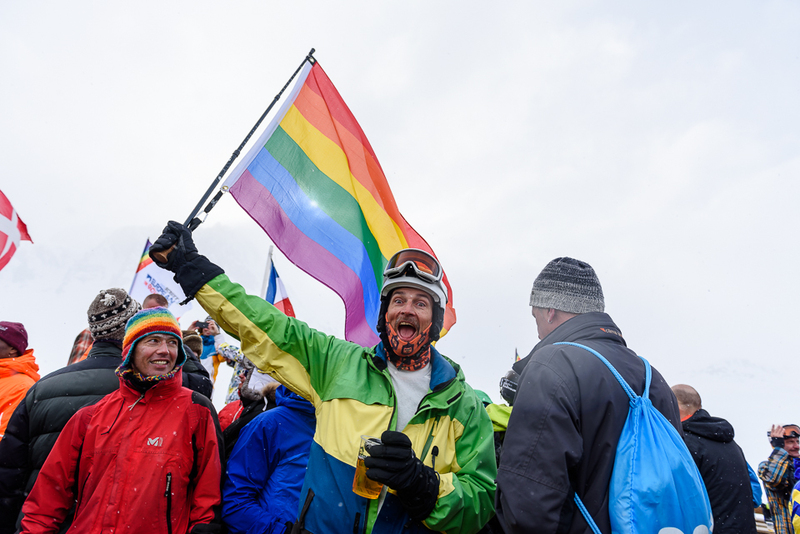 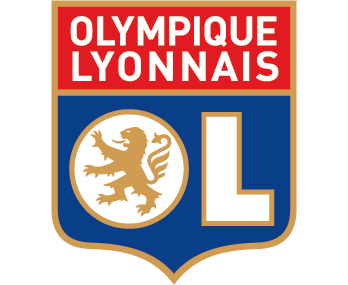 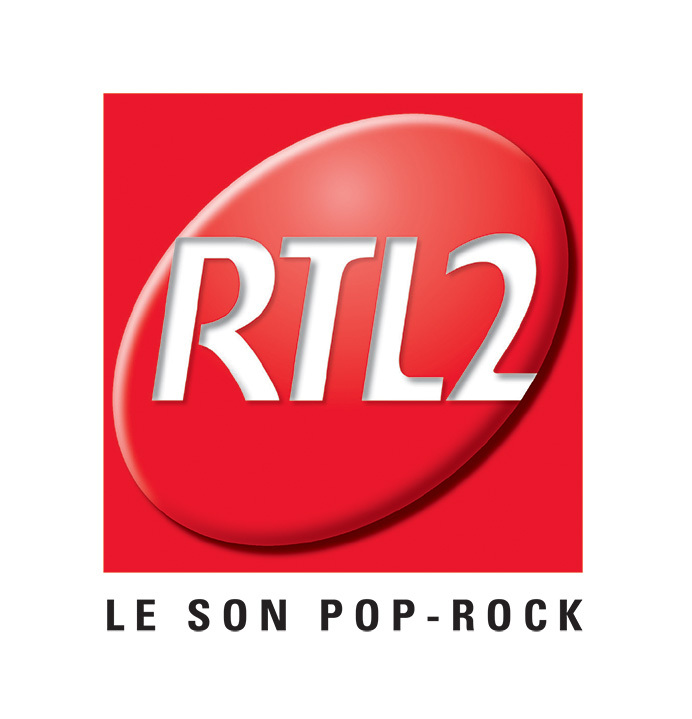 >>> Official website of the Lesbian & Gay Pride Montpellier - Tignes / France: click here.